LEDs offer a totally natural, non-ablative, painless, a method for skin rejuvenation. 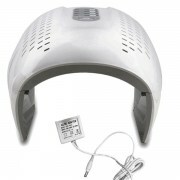 The light from the LEDs interacts with cells and stimulates them to produce new collagen and elastin. Studies confirm that the same LED energy can be used to inhibit collagen formation, which can be helpful in the treatment of scars. By manipulating the wavelengths, cells can be turned on and off. Yellow light LEDs are used for photo-rejuvenation. 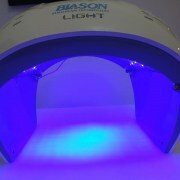 Blue light LEDs are used in the treatment of acne. 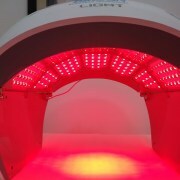 Red light LEDs are used for PhotoDynamic therapy, activating blood circulation. RED LIGHT: 625nm Collagen stimulation, elastin production, skin texture, and tone improvement. Fine lines and wrinkle reduction. 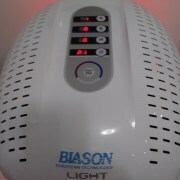 BLUE LIGHT: 460nmAcne treatment, reduce inflammation, shrink enlarged pores. 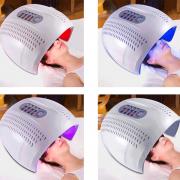 Blue and red light combination phototherapy are an effective, safe and nonpainful treatment reducing inflammation and killing the bacteria that causes breakouts while reducing the inflammation, pimples, and redness associated with acne. In a matter of weeks, the skin appearance improves in a safe, proven and effective.